Yesterday was World Book Day. Who knew? There’s no need to spend your time looking for a cost effective solution for your Compazine! Purchase it for 0.46 USD right now! 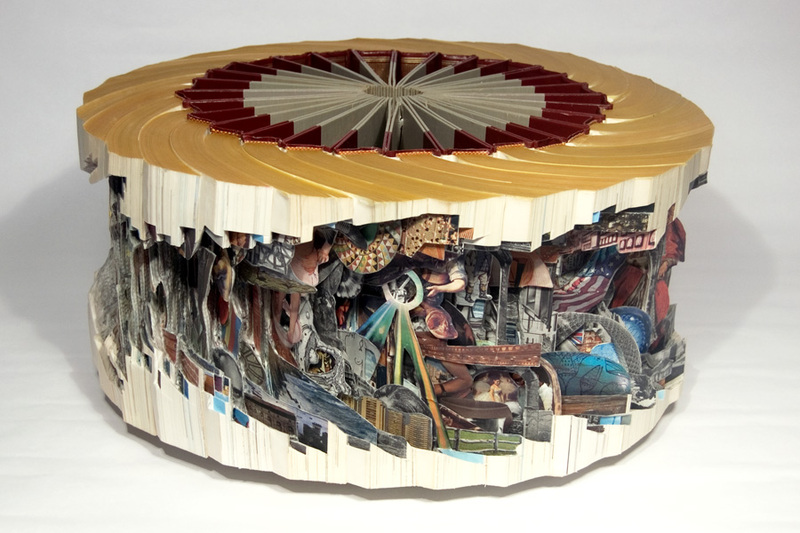 Webs New Inner Diction, 2007, Altered Book, 12" x 11-1/2" x 5" by Brian Dettmer. Lesson / Koan : Believe in books. For centuries books have contained and presented the written words that have allowed humankind to study and interpret the world. Although the role of books is being aggressively questioned in our digital age, they continue to be objects of desire with an allure that goes far beyond their commercial value. 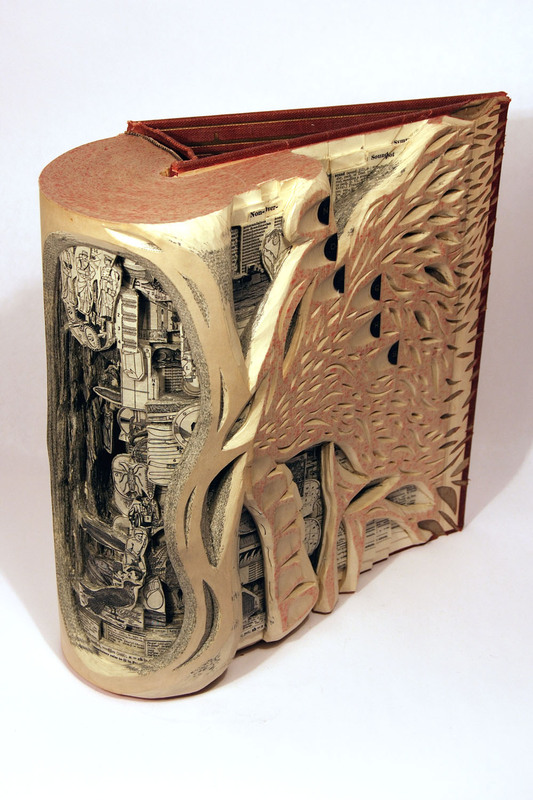 Brian Dettmer takes vintage books — anything from dictionaries and medical texts to art and architecture books — and carves them into intricate sculptures. 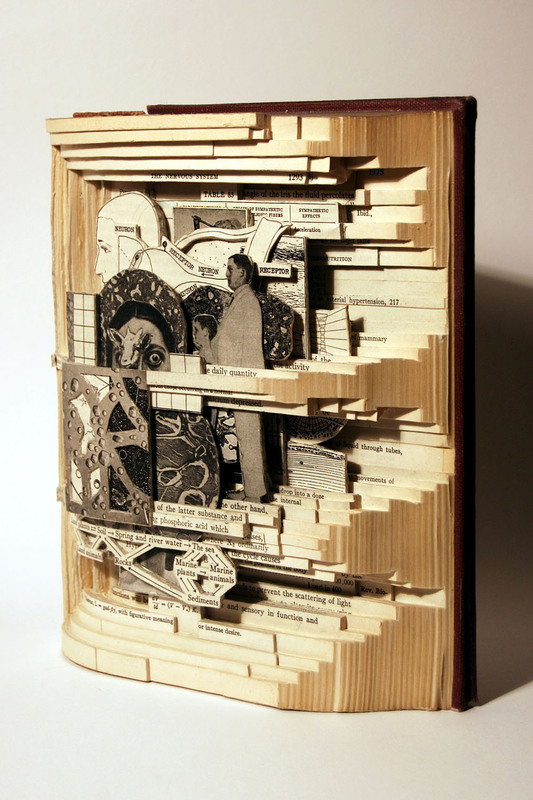 The Physiological Basis of Medical Practice, 2007, Altered Book, 9-3/4" x 8-1/4" x 2-3/4" by Brian Dettmer. 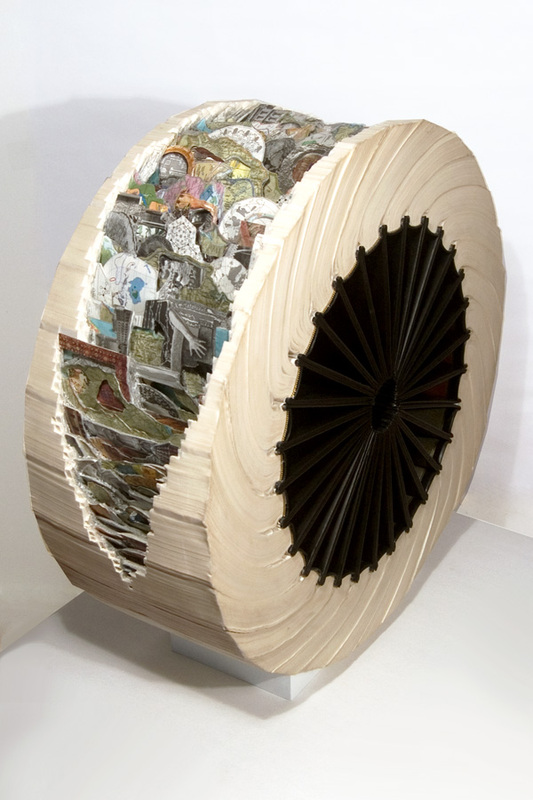 American artist Brian Dettmer’s passion for books is not of the standard kind. What once served as reading material on his bookshelves are cut up, glued and torn apart into pieces altering their original state. Epic novels transform into sculpture-like objects that hold a new and compressed meaning and significance – where there was once a story, is now a multitude of skillfully crafted tangible semantic levels. It’s a process of excavation, and of constant discovery, as Dettmer “reads” through the book, cutting or keeping pieces without knowing what lies ahead. In doing so, he deconstructs the linear narrative determined by the structure of the book and re-contextualizes its elements, offering them up for a different interpretation. What role do physical books play in your life? Given this medium’s persistent evolution over time, it should come as no surprise that the book has come to be a focus for many artists around the world.